Quaker and The Kroger Co. Family of Stores have come together to donate $25K to Feeding America through its Tweet for a Cause initiative (@Quaker + #BetterTogether) which encourages families to spend quality time together and make things, Better Together. Quaker Oatmeal goes great with milk which provides a good source of protein. This yummy goodness is something I like to share with your loved ones. Jakobi seriously loves these things, and I feel good giving them to him. I know the ingredients that went into them and I can also cut the sugar. 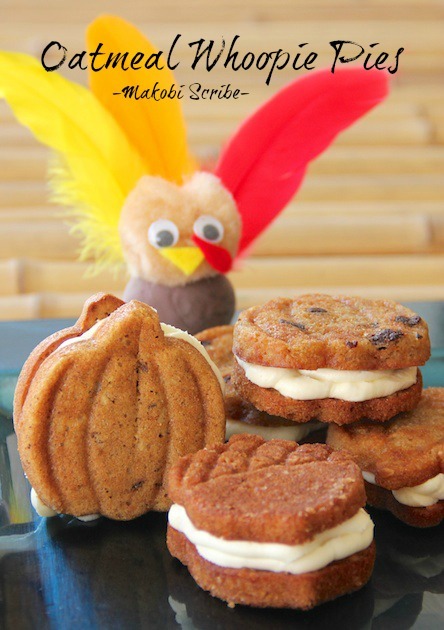 We had a good time eating Whoopie Pies and crafting Thanksgiving turkeys! 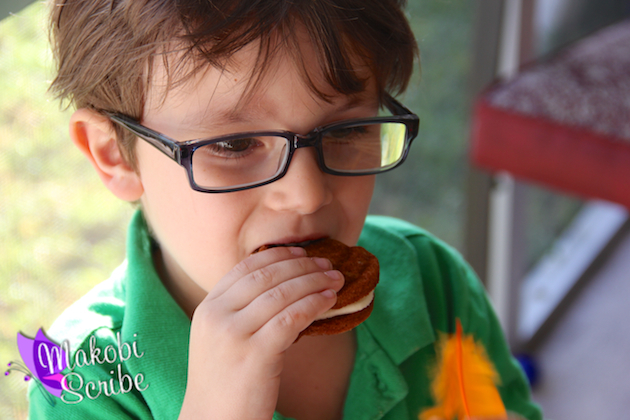 Craft time and snack time go together like oatmeal and milk too! They are better together! 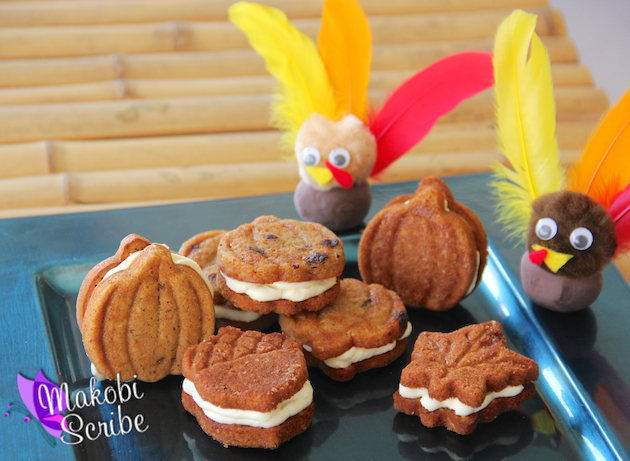 Of course I had to check out the Quaker’s tasty recipes, and I was inspired to create Oatmeal Whoopie Pies! I used the packages right from the box of individual packets. I used milk in the cream to get a nutrient-rich start to your snack-time. You can get calcium from both as well as fiber and iron from the oatmeal and protein, potassium and vitamins D, A and B12 from milk! 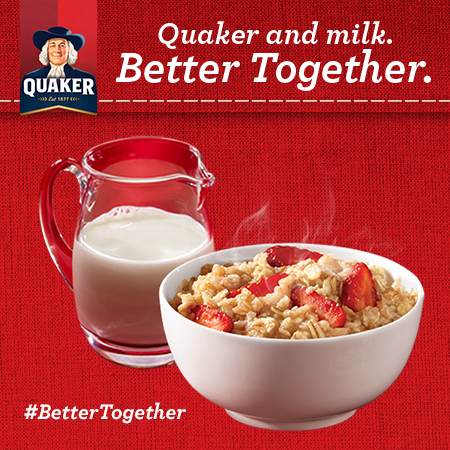 For more information on Better Together + Tweet for a Cause, please visit QuakerBT and you can join the buzz on Twitter at @Quaker or follow Quaker on Facebook or at Quaker Oats on Pinterest. So it took me a few tries, but I finally got the recipe down! These Oatmeal Whoopie Pies are so good!! To make the cream just blend the ingredients together on high for 3 minutes. Put the pieces together and you have Whoopie! If you like this recipe, and want to be a part of the Quaker initiative, PLEASE RT this tweet to help donate to families in need! Previous articleWhat Do Boys Want For Christmas? Rockboard Scooters! Those are too cute! He looks like he is really enjoying them. Those are so cute! I love the pumpkin shapes. My daughter would love these in her lunch and I’m pretty sure they’re a tad healthier than the other “treats” I’ve been sending with her!